A dozen Model Offices were installed at Tech, including banks, real estate, insurance and stock brokerages. Each will be equipped with adding machines, cash register and filing systems. The play “The Knighting of Don Quixote at the Wayside Inn” was performed entirely in Spanish. Tech received three new Pianos for use in the music department. Tech's Enrollment of 2,200 students makes it the third largest high school in the country. Moving Pictures were shown for the first time at Oakland Tech. 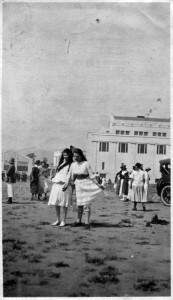 Admission was 10 cents and all proceeds went to the Belgium Relief Fund. The Vulcan Club, an organization composed of shop boys and devoted to the study of the iron industry, was formed. 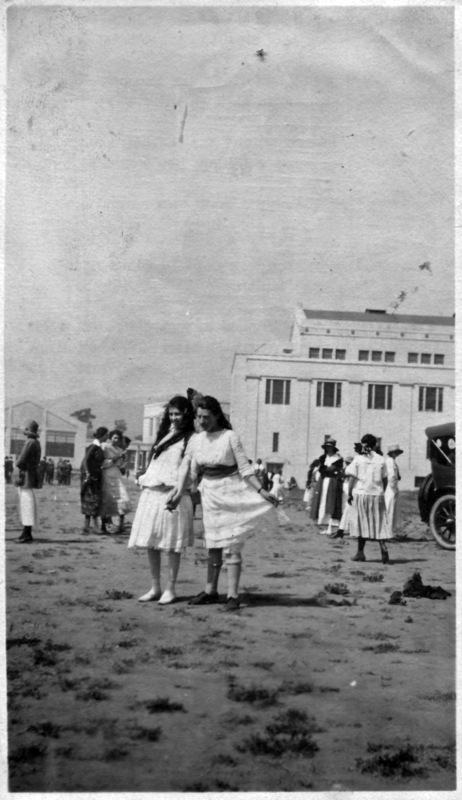 During the Influenza Epidemic, Tech teachers volunteered their time and cared for stricken victims at the Civic Auditorium which was turned into a hospital. The Board of Education gave its permission for a trench to be constructed at the rear of the athletic fields so instruction in trench warfare could be given. 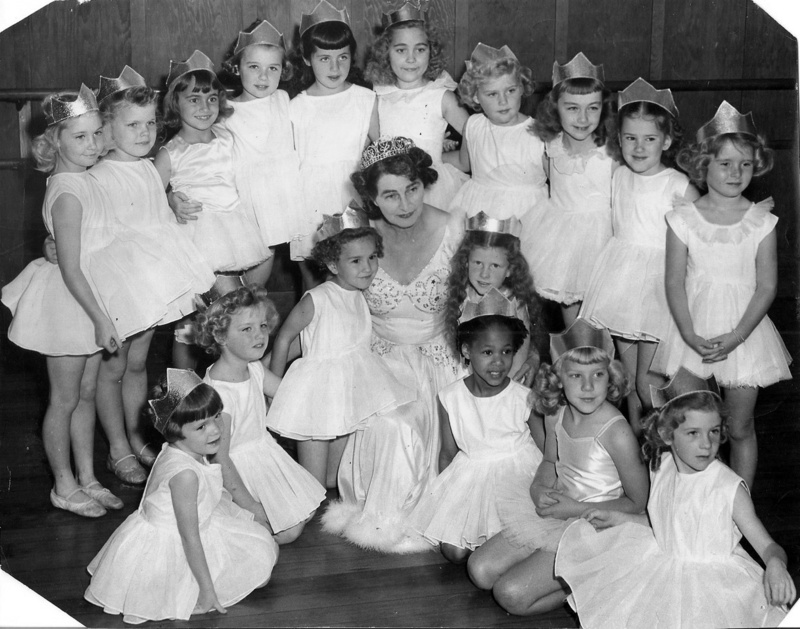 The Red Cross work done by Oakland Tech’s sewing classes was deemed the best of any school. The classes sewed everything from surgical masks to baby caps. The Tech Radio Club, which was founded in 1914 but was disbanded during the Great War because it was against government regulations for unlicensed operators to practice telegraphy, was re-established in August. A bank, a branch of the Farmers’ and Merchants’ Bank, was established at Oakland Tech to encourage habits of thriftiness and business. Janice Clark, a Scribe staffer, secured Interviews with the King and Queen of Belgium and also had a conversation with Herbert Hoover. The towering personality of Goddard Gale’s boyhood, the closest of the family friends, was John Ruskin. Gale’s uncle, Arthur Severn, married Ruskin’s adopted daughter and niece, and still lives at Brantwood, the old Ruskin home. Severn, now in advanced years, is known as one of the greatest watercolorist of England. His father, Frederick Gale, a parliamentary barrister, was one of Gladstone’s legal advisers and carried out the plans for some of the greatest political campaigns, although curiously enough himself a staunch Conservative. Gale has many boyhood anecdotes of those campaigns and of those who fought in them. Among the other Gale family friends were Alfred Lord Tennyson, Poet Laureate of Great Britain and Ireland during much of Queen Victoria’s reign, (Godard Gale remembered him “as the handsomest man he ever saw) and Francis Trevelyan Buckland, an well-known surgeon, zoologist, popular author and natural historian. “The boy Gale loved to catch snakes for Buckland on vacation, and carried on his quests in the face of severe parental objections which included a search for concealed reptiles whenever the boy returned from a tramp.” Another family friend was Thomas Hughes, the author of Tom Brown’s School Days. Published in 1857, it remains the most widely read of the dozens of 19th century British school novels. Perhaps the love of the out-of-doors then fostered led Goddard Gale early in life to Canada, where he lived for some years, making drawings for illustrated papers and seeing frontier life at its wildest. A fittingly romantic courtship and marriage have been followed by an ideally happy home life. “Seeing frontier life at its wildest” included not only his years as a western Canadian pioneer, but also his career as a surveyor and civil engineer in the employment of the Canadian Pacific Railway then constructing the first transcontinental railroad across British North America. Principally involved in surveying as well as designing and building bridges in some of the most rugged terrain on the face of the earth, the Canadian Rockies, (To family members and others, he always maintained that he was the first white person to see Lake Louise, Canada’s most beautifully situated lake), these were months of hardship, privation and extreme danger. In the introduction to his two-volume study of this herculean undertaking, the Canadian author Pierre Burton echoes Mr. Gale’s recollections, “In winter, when the blizzard strikes and the heavens are blotted out, it can be a white hell; in the summer, by all accounts, it is an enchanted realm.” In later years, Mr. Gale revelled in sharing “tall tales” of his experiences in during these railroading months. It was in the fall of 1884 that Mr. Gale determined to terminate his railroad career in order to establish a Manitoba home two hundred miles southwest of Winnipeg, the provincial capital. Here he selected a homestead on land where an ancient Indian and fur-trading trail forded South Antler Creek, a tributary of the Souris River. The southern edge of his homestead touched the Canada-US boundary and four miles to the west was eastern border of the vast North West Territories. Those who saw the endless expanses of virgin prairie all agreed that it was indeed an “enchanted realm,” an endless expanse of wild flowers; crocuses, violets, blue, white and yellow, buttercups, silverweed, daisy, fleabanes, hare bells, wild roses and sweet peas; blue Siberian peas, white anemones, beard tongue, three-flowered avons and wild prairie lilies. In fall, even the driest spots were brightened by the beautiful red flowers of the fall cactus, a plant about the size of a golf ball encased in a armour of needle-sharp spines. Although at the time of Mr. Gale’s arrival in Township 1-29 (its legal description) there were only five other neighbours living on its 36 square miles, it soon became the focal point of a settlement of British settlers. Many of these were recent arrivals from England and for the most part ardent members of the Church of England – and enthusiastic cricketers. Being the son of one of Great Britain’s outstanding cricket authorities, it was natural that Uncle Goddard would have taken a leading role in the organization of a local cricket club. Municipal politics was another area of special interest so that Mr. Gale was elected as the local representative on the council of the original Municipality of Arthur, one which comprised the present municipalities of Arthur, Edward and Albert. In 1890 he was elected the municipality’s third reeve. The building, which is fifty-six feet long, twenty wide and twenty high, is built of stone quarried by the farmers last year and hauled to the site of the building. It consists almost entirely of grey and red granite and sandstone found in the sloughs – dried up watercourses – all over the prairie. The sidewalls are ten feet high and two feet thick and the east and west walls twenty feet in height. The church is pure Gothic, and the roof of wood, covered with shingles – wooden “slates,” which look much nicer than slate and are almost imperishable in this climate. Its consecration by the Archbishop of Rupert’s Land, Robert Machray, assisted by Rev. Wood and Mercer on Sunday 4 September 1892 attracted a majority of the district settlers of every denomination. After the service, Mr. and Mrs. Gale entertained the officiating clergy at a noon dinner in their home. Unfortunately, the high hopes of this “British Settlement” were soon crushed by a combination of factors. A general lack of practical farming experience (made particularly evident by its pioneers having chosen a semi-arid corner of Manitoba for their new homes …the beautiful little cactus plants should have been a warning), was soon exacerbated by drought and crop failures. 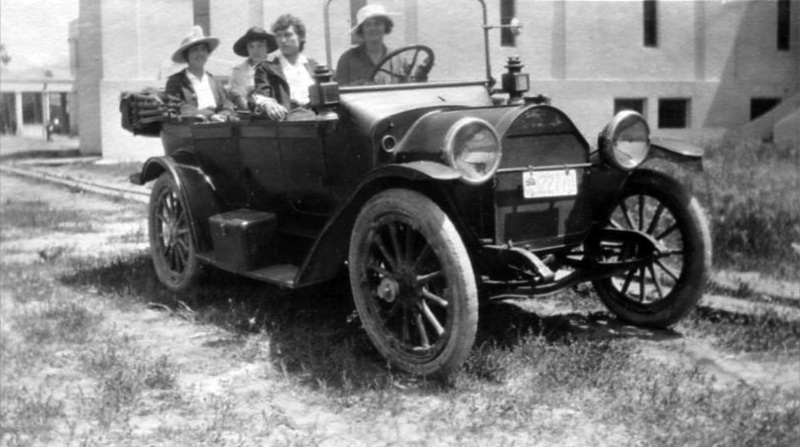 By the turn of the century, many of St. George’s parishioners had come to the conclusion that their homesteads were more suitable for feeding buffalo than growing crops. The parish was mostly abandoned, some moving only a few miles to the northwest into the Lyleton community where the land was better, a few returned to England, others decided to again try homesteading further west, while others found new homes in other parts of Canada or the United States. Some are reported to even have moved to Australia. By 1903 St. George’s had almost no parishioners. Today, almost a century and a quarter later, the once magnificent English church graced with a delicate spire and “eleven Gothic arches” is a unique, picturesque prairie ruin. Mr. Gale and his wife made their way to Winnipeg – briefly – where, as we have already noted, he established an art school. From western Canada’s “Chicago of the North” the Gale’s soon moved to California where Mr. Gale’s cousin, George Henry Goddard, a gold seeker of 1850, had become one of the state’s most prominent surveyors and cartographers. The Gale’s first home in Alameda County was the town of Livermore situated some forty miles east and slightly south of Oakland. Here Mr. Gale opened an art studio in which he offered art classes and taught drawing in the Livermore High School. This was also the birthplace of their daughter, Claudia Fitzroy Gale in September 1897 and their son, Frederick Francis Sadler Gale in March 1899. Soon after this the family moved to Oakland where Mr. Gale soon became prominent in the art community of that city. Here he was appointed head of the Art Department in Oakland’s best known school, now known as Oakland Technical High, then as the Oakland Manual Training and Commercial High School. During the first week of January 1903, tragedy struck the young family when Mrs. Gale passed away two months short of having reached her thirty-fifth birthday. She left her husband a widower with two small children, Claudia almost five and a half and Frederick, not yet four. Mrs. Gale, the former Lillian Georgina Sadler, was the daughter of the prominent pioneer settler, Jesse Johnson Sadler, of the Winlaw district south of Gainsborough, Saskatchewan. Thus, when Mrs. Gale passed away, her husband brought her remains (together with the infant she had died bringing into the world) back to be buried in the family plot in the Winlaw cemetery. The following year when he returned to visit her grave and his in-laws he extended his visit to the Pembina Crossing district south of Manitou to visit, in the words of the local paper, “his old friend, R.N. Lea.” This was a friendship which had extended back to the first days of Mr. Gale’s arrival in Manitoba. In the fall of 1880, at Emerson, “The Gateway City to the North West,” Mr. Gale had made the acquaintance of Mr. R.N. Lea, an artist by avocation, a prosperous Warwichshire tenant farmer by profession who had decided to enrich his life – and perhaps even his bank account – by pioneering in western Canada. 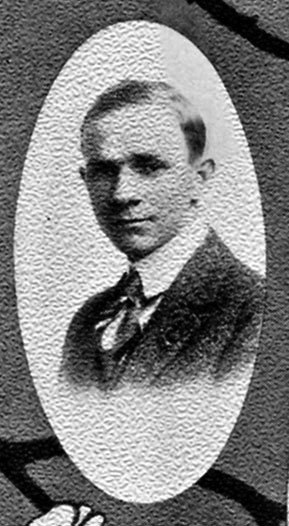 The two quickly became fast friends, and Mr. Lea soon persuaded the young man, whose original intention had been to immediately secure a civil engineering job with the Canadian Pacific Railway, to instead accompany him to his new home in the Pembina River Valley, Fairbrook Farm. Here, Mr. Lea suggested, Mr. Gale could be the tutor to the older of his eight children during the coming winter months. Mr. Gale agreed. It was a quarter century later, in July 1904, that he returned to Fairbrook Farm. It was a happy reunion and in June of the following year Mr. Gale made yet another visit, this time to marry Mr. Lea’s eldest daughter, Ada Mary Lea. When she had been nine, she had been his favourite pupil. Now thirty-two, she and Mr. Gale were married in the old log church at Pembina Crossing. He was forty-six she was thirty-two. Although Mr. Gale occasionally did works on religious and historical studies (in 1894 when the Manitoba Free Press reporter had visited him in his Main Street studio, Mr. Gale was completing an oil on the early Christian martyrs) his preferred subjects were found in nature. The 1894 Free Press noted that Mr. Gale had been busy on “Rocky Mountain scenery and Canadian landscapes for the Graphic.” As a young man, Mr. Gale had mastered floral painting and still life; later engineering studies in England had perfected his drafting and mechanical drawing skills and in California he became famous for his California landscapes and coastal scenes. San Francisco Bay and the Carmel Coast one hundred miles farther south were the most frequent inspiration for his works. The work of a California artist attracts such attention in Europe that the editors of La Revue Moderne and La Revue du Bom et du Beau write for material for critical and biographical articles; when the art critic of the London Post commends the work as among the most striking at the autumn exhibit at Liverpool, Californians are interested but not surprised. Goddard Gale’s paintings have long been known to lovers of art. The painter has won medals at various exhibits, notably the Grande Prix at the Alaskan-Yukon Exhibition [1909, Seattle Washington]. His paintings of Carmel, Point Lobos, and the Sierras are in the permanent exhibit at the Oakland Auditorium and in other collections around the Bay. From more than fifteen hundred pictures in the autumn exhibit at Liverpool, which is considered one of the most important in Europe, the judges selected thirty-four, including the paintings of Sargent, Sorolla-y-Bas-ticla, Pissarro, Aman-Jean, and Charles Sims, R.A. Among them was “On the Trail to Paradise” by Goddard Gale, a scene in the Kings River Country of the Sierras. The picture shows the late afternoon sunshine red on the snowy peaks in the distance and the blue and violet shadows on the canyon wall shaded with oaks and pines. Goddard Gale is a versatile painter in watercolor and in oil; a conservative who has never forgotten his early training at South Kensington. He greatly admired the work of his friend, Sidney Yard, the California watercolorist, and the same poetic and romantic atmosphere pervades the pictures of both these artists. Of the Keith school, as was Yard, Gale also has the warmest admiration for the paintings of George Inness, and his oils show in the warmth of color and arrangement of masses the influence of the earlier painter. 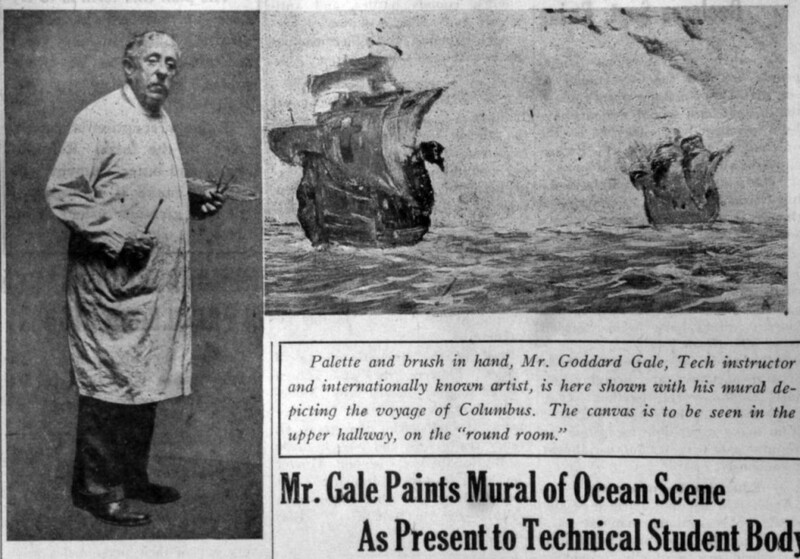 In June 1930, Mr. and Mrs. Gale observed their silver wedding anniversary and two years later, at the age of seventy-three, Mr. Gale retired as head of the Art Department at the Oakland Technical High School. However, he continued to paint until days before his passing on the the morning of Friday, 12 August 1938, after a short illness in Oakland’s Peralta Hospital. He was seventy-nine years of age. His funeral service was held the following Monday from the Telegraph Avenue Chapel of the Grant D. Miller mortuaries in Oakland. He was survived by his widow, Mrs. Ada Gale of, as well as his son Frederick F. Gale, a prominent Oakland businessman, and his daughter Claudia F. Gale, a well-known teacher in the California public schools. He had been a member of the Bay Region Art Association and the Oakland Tent No. 94, Woodmen of the World. 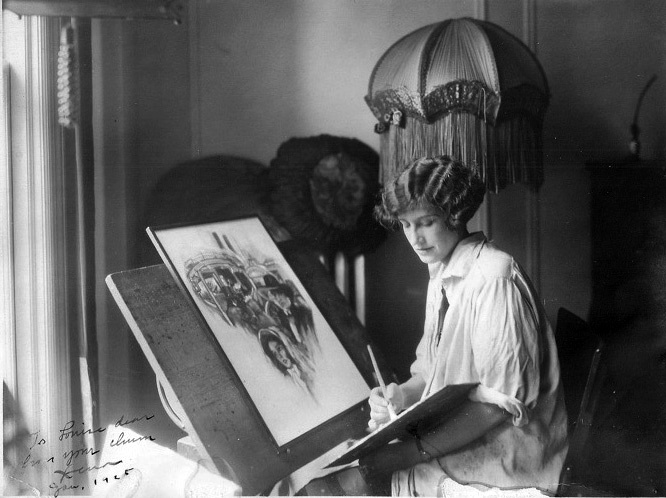 In 1917 the Oakland Museum sponsored a display of his works and following his passing it had a memorial exhibition of a collection of his paintings. Mrs. Gale survived her husband less than a year, passing away in her home at 2003 East Twenty-Ninth Street on 4 August 1939 at the age of sixty-six years. Mr. and Mrs. Gale’s remains rest in the Evergreen Memorial Park in Merced, California. Mr. Gale had been predeceased, in addition to his first wife, his mother in 1874, his father in 1905, his first son, Claude Stanley Gale who died at the age of one year in October 1892 and his only brother Arthur Stanley Gale who died on his homestead in the Lauder Sandhills of Manitoba early in 1891 under exceptionally strange circumstances. Both Mr. Gale’s son and brother are buried in the cemetery of the Butterfield Anglican Church in the Copley district of southwestern Manitoba. 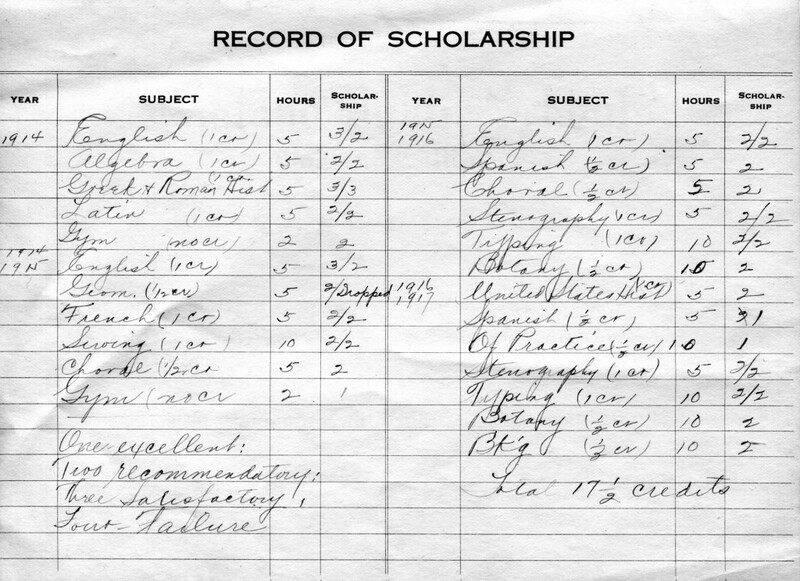 His current descendent include three great granddaughters: Shannon Gale of Wayzata, Minnesota; Kristin Gale of Deep¬haven, Minnesota and Courtney Gale of Half Moon Bay, California, and two great grandsons: John Goddard Gale Jr. of Phoenix, Arizona and Joshua Spencer Gale of San Fran¬cisco and four great grandchildren. Mr. Gale’s only grandchild, John Goddard Gale, died January 2010 at the age of sixty-nine at Santa Cruz, California. Born in Mitcham, England, a suburb of London, Goddard Gale was the son of Frederick Gale, a prominent London barrister and a world-renowned cricket expert and Claudia Fitzroy Severn, a daughter of Joseph Severn, the Victorian painter who also served as British consul in Rome for twenty years. He received his elementary education in Surrey, England, and in Kent where he attended Tonbridge High School. Here the curriculum was purely classical, Greek, Latin, French, German and art. He continued his art eduction in the Art School in South Kensington, London, known since 1896 as the Royal College of Art. This was followed by additional practical studies in blacksmith shop, pattern-making, machine shop, draughting and the designing of bridges and railroads at the Crystal Palace School of Practical Engineering in London, England. Upon graduation, he secured employment as a draughtsman with Henry Vignoles, the English engineer famous for his construction of bridges and railroads in Russia, Poland and Italy. It was shortly before his twenty-second birthday he left England for Canada. An accomplished artist, Xena Wright was best friends throughout her life with her high school classmate, Louise Jorgensen (an accomplished dancer and choreographer who directed the Oakland Christmas pageant for decades). Xena’s drawings appeared regularly in Scribe News. Many sketches done during her years at Tech were preserved in her friend Louise’s high school scrapbook. At Tech, Xena was active in social affairs and charitable activities. 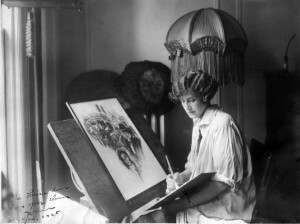 After graduation in 1916, she drew cartoons for local newspapers and in 1920, she moved to New York City to further her career as a cartoonist. 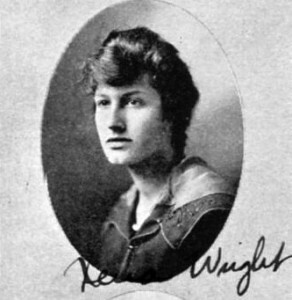 By 1924, she was listed in a national directory of graphic artists and by 1928, she was regularly publishing pen and ink drawings in the popular “pulp fiction” magazines of the day which had names like Love Story, All-Story Love, and Five Novels Monthly. Her marriage to Donald Maxwell in 1932 ended in divorce in 1933 and she never remarried or had children. She died in New York in 1940 at the age of 43. 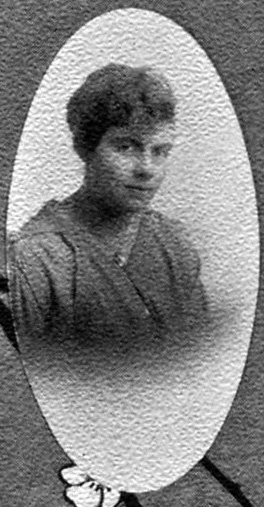 Bernice Morse attended Durant Grammar School before coming to Tech. Her mother, Laura Lincoln Muir Morse, was the niece of John Muir, the famous naturalist. 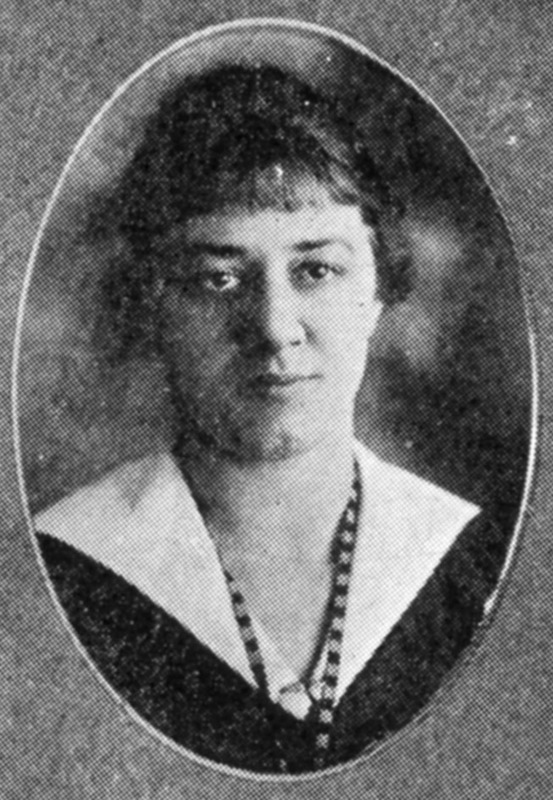 Laura was married to Elbert Morse, whose brother was partner in a medical practice in Oakland with former Governor Pardee. The Pardee residence is now part of Preservation Park on Lake Merritt. 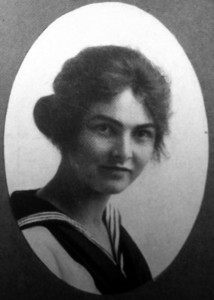 Bernice often described her years at Tech as the “happiest years” of her life. After graduation, she worked in the office at Tech and later for the Berkeley School District. In 1923, she married J. Peyton Kane, who became the National Advertising Manager for Safeway Stores in the 1940s. Later they ran a printing and advertising plant in Berkeley with their two sons. Bernice was an honored guest at the Landmark Dedication of Oakland Tech on October 4, 1986. She was named “Sweetheart of the Class of 1987” at the ceremony. Bernice died shortly afterwards at the age of 88. Her diploma, report cards, and this information were sent to Tech in 1990 by her sons J. Peyton Kane Jr. and Weston Muir Kane. 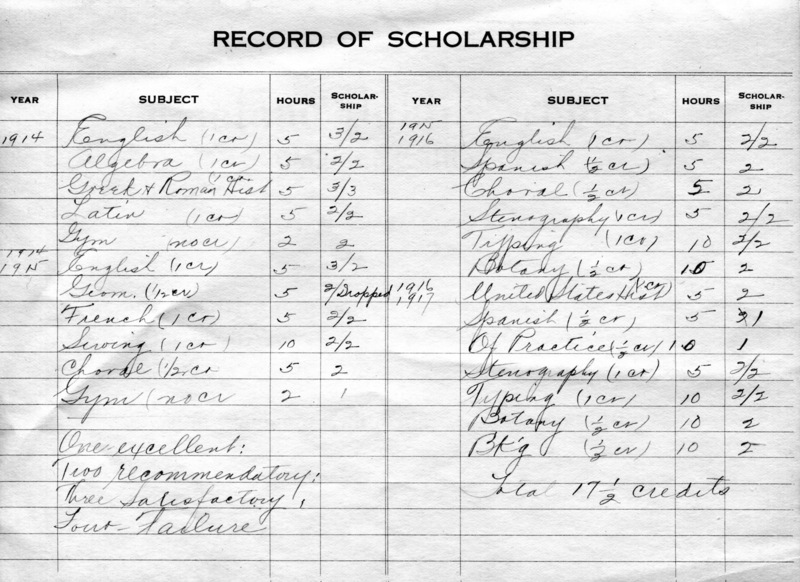 This graduate, Beatrice Morse, earned a diploma in Stenography, so her transcript reflects this concentration as well as the required academic subjects and electives. The academic subjects include: English, algebra, Greek and Roman history, Latin, geometry, French, Spanish (Beatrice seems to have taken a different language each year! ), botany, US history. Business subjects include: stenography, typing, office practices, bookkeeping. Electives include: sewing and choral. Gym then, as now, seems to be required. Dad grew up in the same house that he raised us in and that we still live in. At Tech, Dad took shop classes. He knew how to join miter corners and repair electric appliances. He was always able to work around the house doing things as he had a little bit of knowledge of a lot of things. He studied Spanish at Tech and spoke it exceptionally well. He could recite poems in Spanish and English. There’s something to be said of the discipline of that old rote memory style of education. He was a very good public speaker. He could always introduce someone at a speech or open a ceremony and he did it with ease. More rhetoric was taught at that time. He enjoyed high school. He went out for track, but after he came in last in one race, he quit. He also played baseball and was a good swimmer. Al Kyte was there when he was. Our father’s father was killed in World War I when a German U-boat torpedoed his merchant ship. Our father was still at Tech at the time of his father’s death, so at age 16 or 17, he became responsible for his mother and sister, both of whom were ill. Our father grew up fast. If his father had lived, he would have gone to college, but he had to work after graduation to support his family. 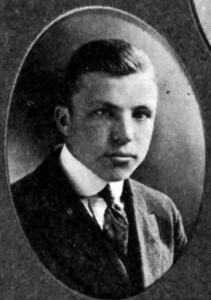 Dad was very mature when he graduated in 1917. Dad had learned enough drafting at Tech to get a job working at the Hanlon Shipyards in Oakland, which later became Morse Shipyards in the Oakland Estuary. It manufactured ships for World War I. He got the equivalent of about two years of junior college at Tech. That’s how advanced it was. After the shipyards, our father went to work for an electrical company in San Francisco. What he learned at Tech led to that as well. His Tech education served him well. 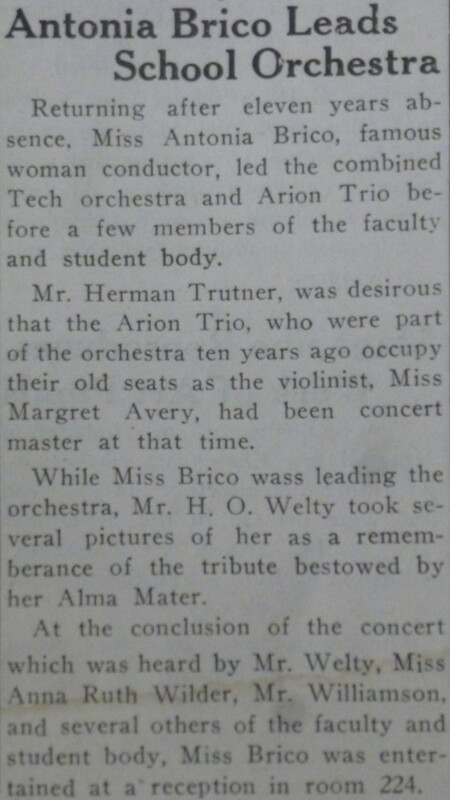 Our mother, Mae Morse, went to Tech too, but she left before she finished as my father’s sister did. It was common for women of that generation to go through junior year and then leave to do business studies at, for example, Heald Business School, for a year. A lot of the Italians just went to work at canneries or laundries. There was a sense in general in our parents’ day that girls didn’t need to be educated. They needed to generate income or to find a husband. Our mother talked about parties and sporting events, maybe a sorority at Tech, but she was not much of a student. She wasn’t a big reader, but she was really funny and very creative. 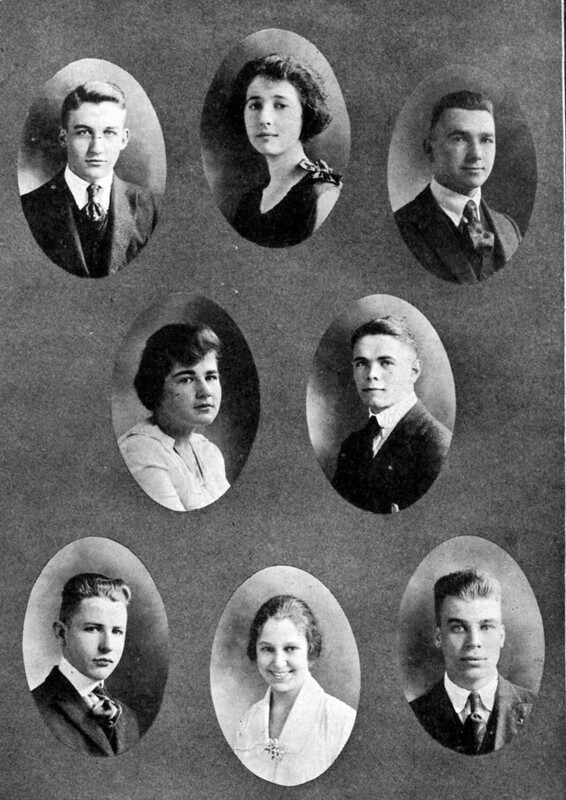 James Morse, our mother’s brother, graduated in 1922 or 1923 and her sister Grace graduated in 1931 or 1932. She was seven years younger than our mother and by then, it was more accepted for girls to stay in school. James went on a football scholarship to Fresno State. 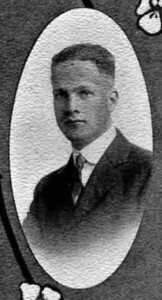 His son William Morse also went to Tech and graduated in around 1948. 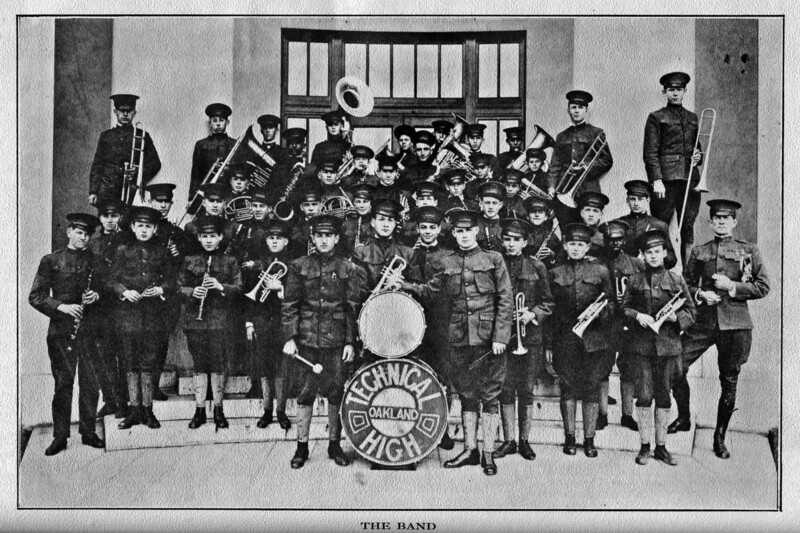 A student at Tech when it moved to its current location in 1915, Gabriel Ticoulat, affectionately called “Tic” by his classmates, was active in student leadership, sports, and music (both the band and the orchestra). He took a number of business classes. 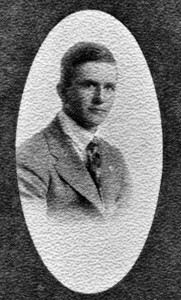 After graduating in June of 1917, he served as a corporal in the US Army until the war’s end in November, 1918. After the war, he went to work for the San Francisco-based paper company Crown Zellerbach, first as a laborer and over time as a clerk, salesman, sales manager, vice president and eventually, as Senior Vice President. In 1951, Gabriel was the Director of the National Production Authority (NPA)’s wood and paper division mitigating, for example, a shortage of newsprint that an undersupply of the sulphur used in processing paper had caused. 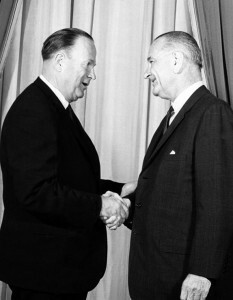 In 1952, he served as the Deputy Administrator for International Materials Activities for the Defense Production Administration (DPA). In the years that Gabriel was with Crown Zellerbach, it grew to become one of the largest paper companies in the world, producing pulp, paper, logs, lumber, plywood, and containers. He died at Rossmoor in 1982. Gabriel was one of the “dollar a year” men who served the country during the war years [World War II]. The government would not allow them to be volunteers; they had to work for at least one dollar to be employees. Gabriel had been involved with rationing paper production for the government during the war and, more interestingly, he was an envoy to the Soviet Union. He made several trips to Russia to discuss trade and was briefed by intelligence services on his return. 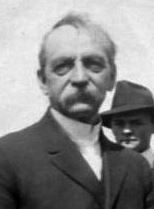 After the war, he was sent by his company, Crown Zellerbach, to develop joint ventures in developing the paper industry in France, where he had deep family roots, in the Netherlands, Switzerland and Germany. He hired Jean-Philippe Galichon as his lawyer and adviser. 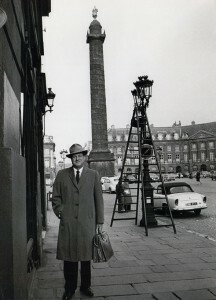 Jean Galichon’s brother had been Charles de Gaulle’s chief of staff during his years as President of France during the 1950s. 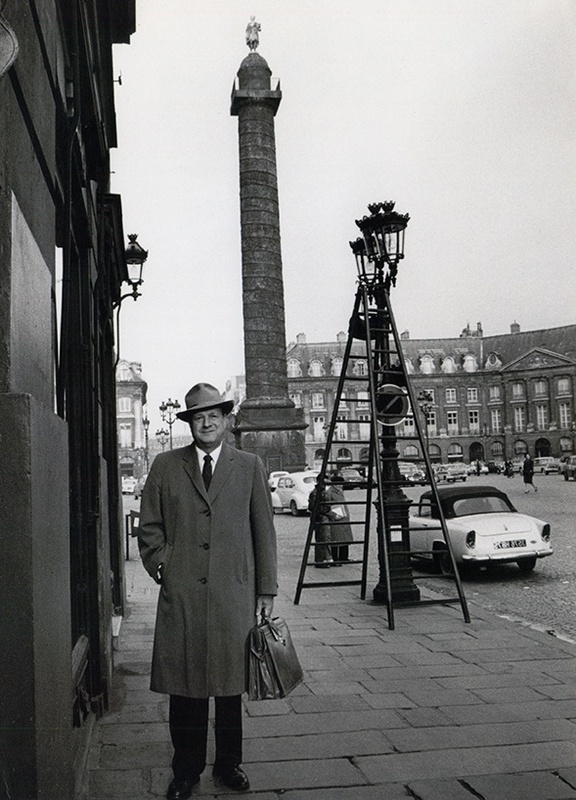 Just after the war, Jean Philippe Galichon had been the principal administrator for the Marshall Plan in France. When Gabriel arrived in France for the first time, he thought he was conversant in French since he was the child of French immigrants. He could not understand why people did not understand him. He discovered that the French of his family was, in fact, Gasconnais, a regional dialect of French that is a mix of French, Spanish and some remnants of Latin. He went to language school and in the end, he was quite adept at speaking proper French. He was a life long Republican and a member of the well known Bohemian Club. 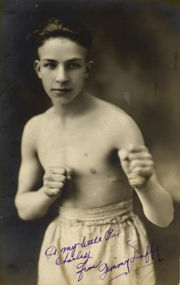 Duffy, whose real name was Hyman Gold, started boxing while a student at Tech. He changed his name to “Oakland” Jimmy Duffy to appeal to Irish fight fans and because of the anti-Semitism of the times. He became Oakland’s first boxing champion when he won the Pacific Coast welterweight championship in 1922. His overall record as a fighter was 115 wins, 26 losses, and 26 draws, including a win over world light welterweight champion Pinky Mitchell in a non-title bout in 1925. He is a member of the Jewish Boxers Hall of Fame. He died in 1979 at age 78. 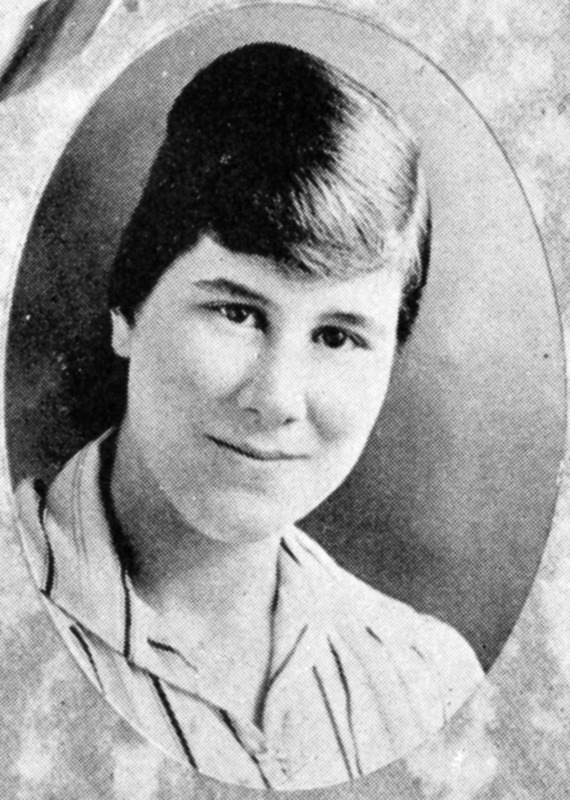 Joyce (Holloway) Barthelson became a noted arranger, pianist, conductor, and piano teacher. She was a staff pianist for several local radio stations, taught piano, and co-founded in 1944 the Hoff-Barthelson Music School in Scarsdale, NY. The school still exists under the same name. Barthelson wrote operas, piano pieces, concertos, and songs. 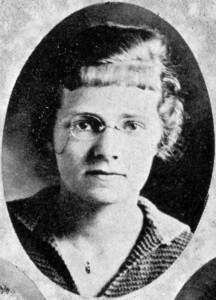 Della Lundberg was born in 1903 in Oakland, the only child of Hugo Lundberg and May Lundberg. When Della was a student at Tech, her father’s occupation was listed in the census as “timekeeper” for a “fishing company.” Judging from her yearbook page, Della was active in high school participating in the Piano Club, a choral concert, something called the “May Festival,” and a fashion show. She was a member of the Honor Society all four years. 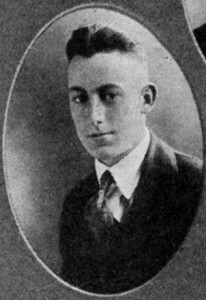 An Olympian and the first player west of the Mississippi to be named a first team All-American in football, Harold “Brick” Muller, Class of 1919, was a three-sport star at Oakland Tech: track and field, football, and baseball. He attended high school in San Diego before transferring to Tech, likely when his football coach from San Diego, Clarence Price, was hired as an assistant coach at Cal. 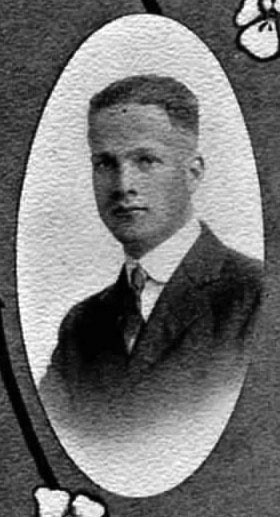 He followed Price to Cal for college, finding time to win a silver medal in the high jump in the 1920 Olympic games, in Antwerp, Belgium, with the encouragement from Cal track coach Walter Christie. He was 19 at the time. 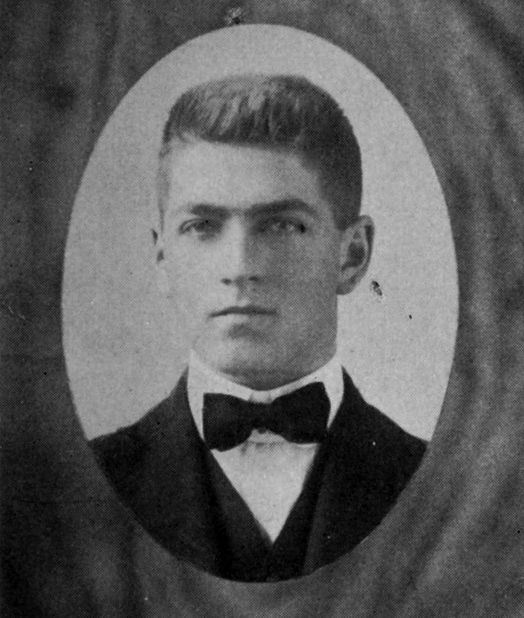 Upon returning to the Cal gridiron, Muller led the team to victory in the 1921 Rose Bowl. During that Rose Bowl game, Muller had two interceptions, three recovered fumbles, five receptions and three completed passes, as the Bears crushed Ohio State in a 28-0 upset. One of Muller’s plays during that game was so unusual that it was featured in a print issue of Ripley’s Believe it Or Not. 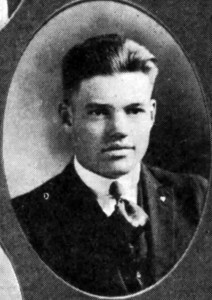 No surprise that in the same year, Muller became the first player west of the Mississippi to be named a first team All-American, an honor he would bring home again in 1922. Muller was signed to the Los Angeles Buccaneers in 1926, and became both head coach and a player until the team folded in 1927. 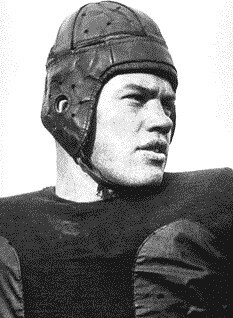 The 6’2”, 215 Muller was famous for the size of his hands, and with professional football still in its infancy when he graduated in 1922, he turned to a very different field where dexterous hands were an asset: orthopedic surgery. During World War II Muller, a Major, served with the Army Medical School. He also eventually served as a physician for Cal athletes and for the 1956 US Olympic Team. 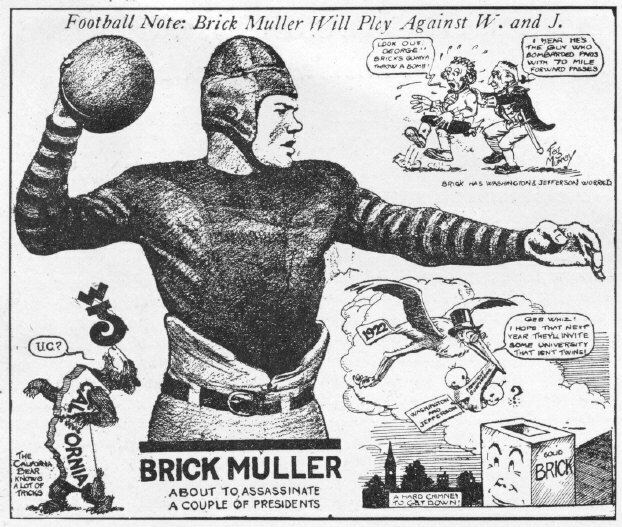 Cal established the Brick Muller Award in 1949, which is awarded to the most valuable lineman on the Cal football team. In 1950, Muller was named to the all-time All Star college teams by the Helms Foundation and AP, and was a charter member of the College Football Hall of Fame when it opened its doors in 1951. 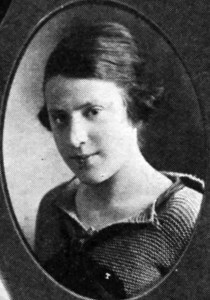 Josephine Holub played violin with the Arion Trio until 1932. Her name appears frequently in local press in the twenties and thirties in connection with concerts in the East Bay. Margaret (Avery) Rowell was described in her obituary in the New York Times in 1995 as one of the country’s best-known teachers of the cello. She taught cello at the San Francisco Conservatory of Music for 14 years and was on the faculties of the University of California at Berkeley, Stanford University, Mills College and San Francisco State University. She developed a unique technique for playing the cello using one’s “whole body” which has come to be known as the Rowell Method and is used around the world. It is hard to exaggerate the importance of Milman Parry (1902-1935) in 20th century classics scholarship. He completely changed the field of Homeric Studies (the study of the ancient Greek epic poet Homer), so much so that Parry’s influence is still relevant today. The anthropological approach that he pioneered permitted him to reflect in a new way on a very old problem, one rooted in late antiquity. The so-called “Homeric question” asks whether Homer actually existed and if he did, what role he played in the composition of the Iliad and the Odyssey. Recording and studying traditional songs in the Balkans in the 1930’s, Parry was able to recognize signs of oral poetry in the two ancient epics. This suggested that for a long time, well before ever having been written down, the Iliad and the Odyssey were sung and as oral poetry, would therefore have been changed or “recreated” during each performance. This realization launched Parry’s brilliant academic career and quickly brought him to an eminent position. Those of us in the field wonder to this day what he might have done, if he had only had more time, which amazing papers and books he might have written. We can only imagine. After studying at Oakland Technical High School (Class of 1919), where he first learned Latin and possibly became interested in the classics, Parry graduated from UC Berkeley and then earned a PhD at the Sorbonne in Paris where he worked with the famous scholar Antoine Meillet. Parry taught at Harvard University until he met a tragic death when he was only 33 years old. Reports at the time said that he was accidentally killed by a shotgun in a hotel room in Los Angeles. An ancient Greek poet wrote: “He whom the gods love, dies young.” The gods must have loved Milman Parry a lot, if they gave him such a short time and such a great talent. He left many papers and a son, Adam, who published them in a volume in 1971. At the time of his death, Parry was just establishing a reputation in his field, but today his work is considered to be the turning point of Homeric Studies in the 20th century. No one who approaches the study of Homer today can ignore the contributions of Milman Parry. Taylor Douthit was a Major League baseball outfielder with the St. Louis Cardinals, Cincinnati Reds, and Chicago Cubs. Douthit is the all-time record holder for range factor by a center fielder. 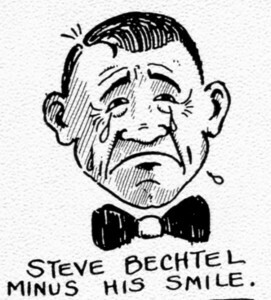 He played in three World Series for the St. Louis Cardinals, winning one in 1926. He made 547 putouts in center field for the St. Louis Cardinals in 1928, the most in a season by a big-league outfielder. In a career that spanned all or part of 11 seasons, Douthit played 1,074 major-league games, his final one in 1933. He had a .291 career batting average, but hit .336 for the Cards in 1929. He attended UC Berkeley and was inducted in Cal Sports Hall of Fame in 1988 for baseball and basketball. He died in Fremont at age 85 in 1986. Wilhelmina Wolthius, Class of 1919, known later as Antonia Brico, became one of the first female symphonic conductors. She was the first woman to conduct the Berlin Philharmonic and the first to conduct the New York Philharmonic. Her obituary in The New York Times in 1989 quotes her as saying, ”I do not call myself a woman conductor… I call myself a conductor who happens to be a woman.” She founded the Women’s Symphony Orchestra in New York City and conducted the Denver Businessmen’s Symphony until 1985. Both were renamed in her honor. Folk singer Judy Collins directed a film in 1974 honoring her former teacher’s life entitled Antonia: Portrait of a Conductor.